In an historic first, starting Friday, all refugees in Ethiopia will be able to register their vital life events, including birth, death, marriage and divorce, directly with national authorities, the United Nations refugee agency announced. “This is a historic first and a ground-breaking development for refugee protection in Ethiopia, not previously realized over decades,” Babar Baloch, spokesperson for the Office of the UN High Commissioner for Refugees (UNHCR), said at the regular press briefing in Geneva. Civil registration for refugees has been made possible following an amendment to an existing legislation. UNHCR and the UN’s Children Agency (UNICEF) collaborated with the Government of Ethiopia in the preparation of the amendment. 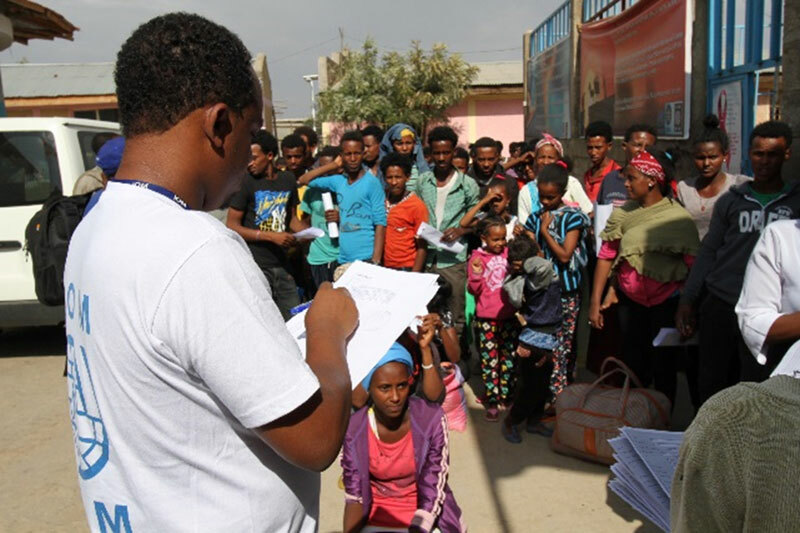 At the launch today, 11 refugees were issued with certificates in the capital of Addis Ababa. Civil registration offices have also been established in each of the 26 refugee camps, as well as in the seven locations with a high concentration of refugees. More than 70,000 refugee children born in Ethiopia over the last decade have not had their births registered and will soon be issued with birth certificates. Children born before the new law came into force can also now obtain a birth certificate retroactively. “Birth registration is an important protection tool – ensuring basic human rights, particularly in situations of displacement. It establishes a child’s legal identity and can help prevent statelessness,” underscored Mr. Baloch. Civil registration is also important for policy development and planning in Ethiopia’s Development Agenda – in line with the Comprehensive Refugee Response Framework (CRRF), which aims to enhance refugee self-reliance and inclusion; provide refugees with better possibilities to solve their plights; and ease pressure on host countries. Ethiopia, which is among the first countries to roll out CRRF, Ethiopia currently hosts more than 883,000 refugees – mainly from South Sudan, Somalia and Yemen.